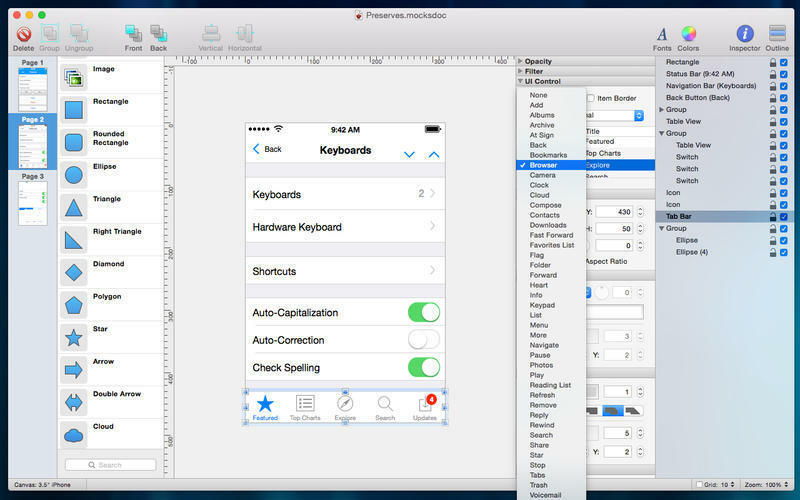 Create mockups of IOS applications. Is there a better alternative to Mocks? Is Mocks really the best app in Developer Tools category? Will Mocks work good on macOS 10.13.4? 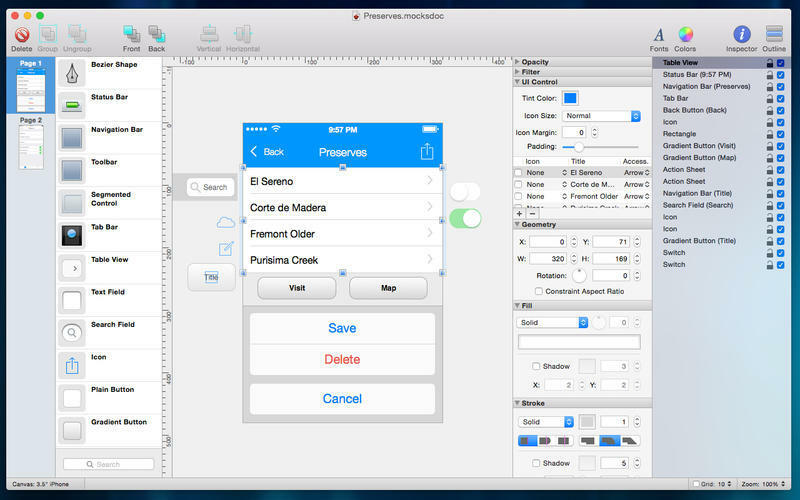 Mocks allows you to rapidly create beautiful, high-fidelity mockups of iOS, iPad, and iPhone applications. 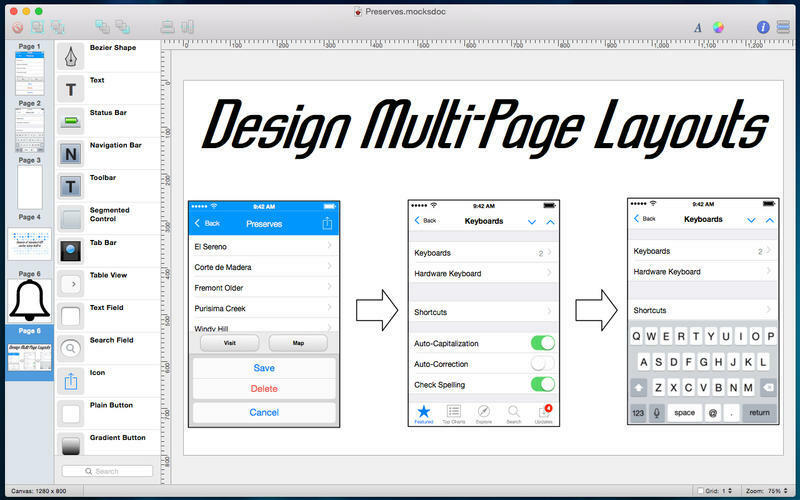 It is a modern, native app for OS X that gives you special tools to design mockups of iOS applications and screens. 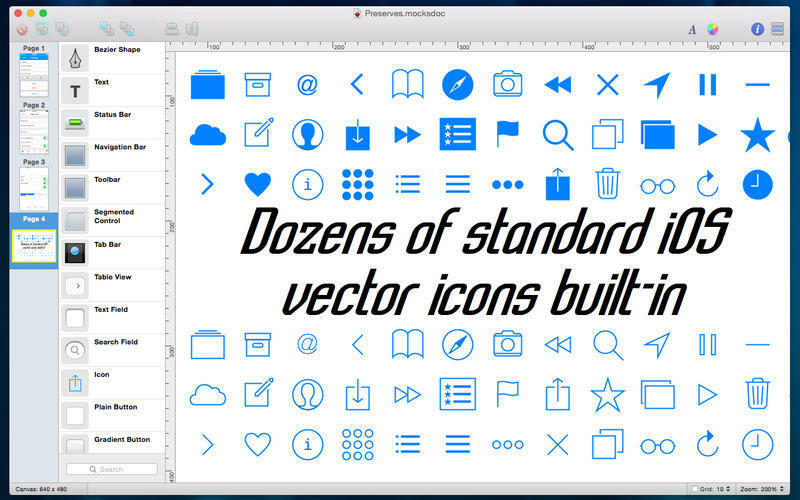 Mocks comes with a built-in collection of graphics depicting iOS icons, UI controls, and widgets (like buttons, toolbars, and text fields). Drag these controls from the Library palette on the left to the central Canvas area where you compose your mockups. Alignment guides (both automatic, and user-created) help you keep your designs in line. New: Status Bar and Home Indicator objects in the Library to match the style of the latest devices. New: 10% Zoom Scale option. Fix: Control-clicking objects on the Canvas for activating the context menu now works properly again. Fix: Improved canvas rendering performance. Mocks needs a review. Be the first to review this app and get the discussion started! Mocks needs a rating. Be the first to rate this app and get the discussion started! Every Mocks composition is a multi-page document supporting modern features like Autosave, Version Browsing, Full-Screen Mode, QuickLook and iCloud Document Storage. Page thumbnails appear in a vertical palette on the far left of every window, giving you an overview of the contents of all pages simultaneously. Mocks also includes many of the essential features you expect from a Diagramming or vector graphics application. 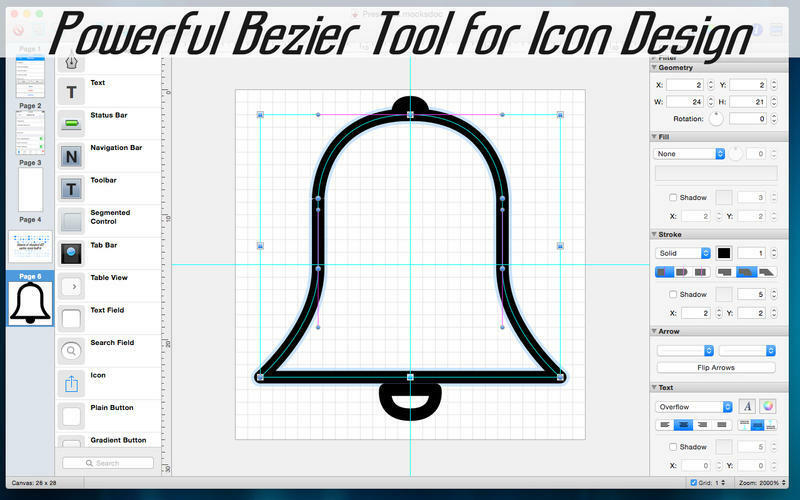 Including a powerful Bézier Path pen tool plus a large collection of shapes, arrows, images, and magnetic lines which automatically resize and move along with the shapes to which they are connected. Mocks is great for Programmers and Designers looking for a simple tool for quickly designing iOS UI mockups, laying out wireframes, or visualizing model relationships.